Divnogorsk summertime. 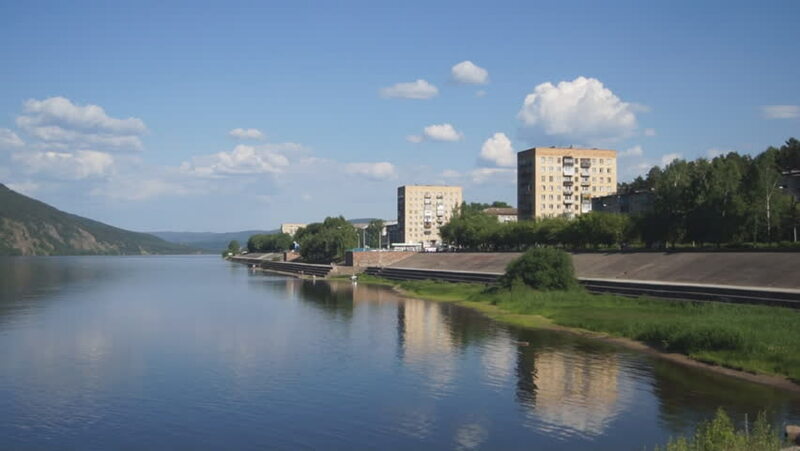 View of small town of Divnogorsk (Krasnoyarsk territory) on the river Yenisei (Siberia, Russia). 4k00:24The lake and the panorama of the city with views of the hills in the background.